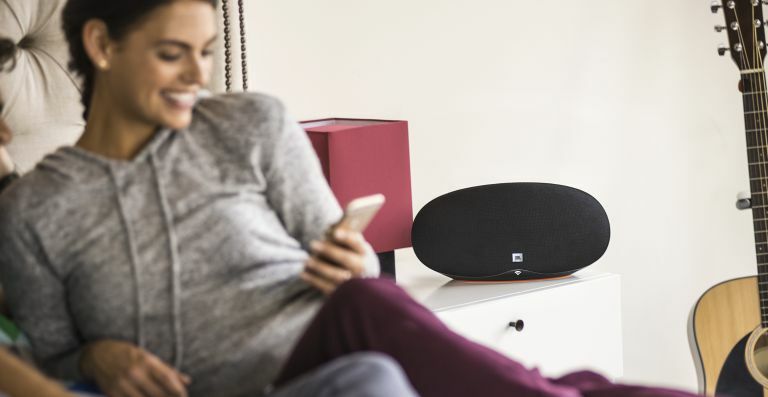 Announced late last year, JBL's beefy wireless Playlist speaker is now available to buy in the UK, complete with that all-important Chromecast functionality. JBL Playlist enables you to instantly stream music, radio, or podcasts directly from your Android phone or tablet, iPhone, iPad, Mac or Windows laptop. A key advantage of the JBL Playlist is said aforementioned Google Chromecast feature, which enables you to easily cast audio from popular music services such as Spotify and Pandora using Wi-Fi, without pairing via Bluetooth. It also works with a multi-room function via the Google Chromecast app, offering up a whole hos of audio options for even the most demanding of audio enthusiasts. You can even enjoy your music without interruption: Answer a phone call, play a game, send a text, and even leave the room, all without interrupting what’s playing on the speakers or draining your battery. The JBL Playlist is available now at JBL.com and select retailers for £149.99. Do you love eSports? Are you in the market for a new gaming headset? Well, audio specialist AIAIAI and pro eSports outfit Fnatic have just the creation for you: the modular Duel headphones. Priced at £169.99, the Duel has been designed in collaboration with award-winning audio pioneers AIAIAI and Fnatic's own pro players to create an all-in-one modular headset that delivers top class audio for gaming and day-to-day listening all in one package. You can configure your Duel however you like, with its soft-rubber coated modular design enabling you to switch between sound-isolating over-ear pads to soft, padded on-ear cups for maximum comfort and desired sound signature. There's also that accurate and immersive sound, which comes from the Duel's 40mm titanium-coated drivers. There's even a removable boom mic for use while gaming and an in-line mic for taking calls. Thinking of hitting the town this weekend, but worried about blowing what's left in your account before you sober up and come to your senses? Sounds like you need DrnkPay, a new app that connects your credit and debit cards to a breathalyser or biosensor wearable so it knows how much they've drunk and limits certain purchases if you've had too much. It works by linking your cards to the DrnkPay app (iOS and Android), then selecting the number of drinks you wish to have in advance. The types of payments to block are then selected (e.g. bars / pubs, food, online shopping, etc), with the chosen cards being 'blocked' for 12 hours. It connects via Bluetooth to your breathalyser wearable, and if you don't have one it also works with the disposable Quantac Tally. To find out more about the DrnkPay app, you can check out its official website for all the latest updates.